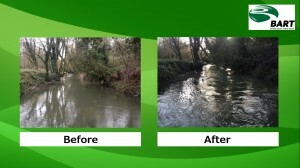 The Magnificent Marden Project (Phase 1) was an initiative to restore a popular section of the River Marden through Castlefields Park, Calne, that was suffering from various anthropogenic impacts. 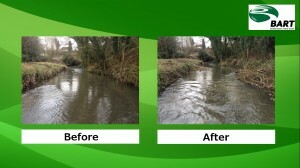 Overwidening and straightening of the river, bank erosion and impoundment had led to the smothering of substrates essential for invertebrates and trout spawning.11 flow deflector and brushwood berm structures were constructed by BART over 8 days, thanks to Environment Agency and Wessex Water funding. These have shown immediate benefits in flow conditions with new riffles and pinch points created throughout the stretch of river, all of which will help to scour gravels and flush out silt. We have also noted a dipper, wagtail, moorhens and ducks using the structures, likely because they provide helpful resting places and sources of invertebrates. A program of coppicing was also conducted along the whole of the stretch of river through Castlefields Park. 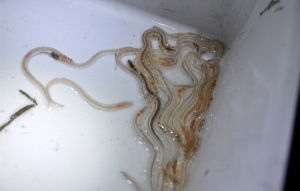 This will increase the productivity of the river, notably Ranunculus populations that are present in the less-shaded upper reaches of the river. 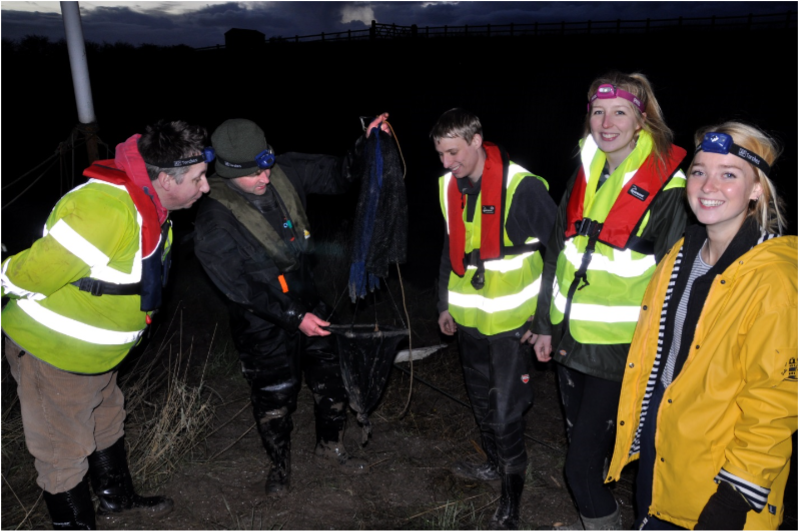 We have several local residents who will be keeping an eye on the distribution of this macrophyte, a valuable habitat for brown trout and invertebrates, and we hope to see it extending into the project stretch. Furthermore, opening up the river will allow for increased community engagement with the river, which we hope will increase recreation within the area as well as reducing the occurrence of litter (a significant problem in the town and river). Whilst working in the river, we became aware of a number of misconnection issues in the form of large flows of sewage (including sanitary waste) and detergent. These came in dry conditions so it is unlikely that these are the result of Combined Sewer Overflow (CSO) discharges, which would also have filtered any sanitary waste before it entered the river. We believe that this issue is an ongoing one and is therefore a significant problem within the river and one that needs to be addressed. 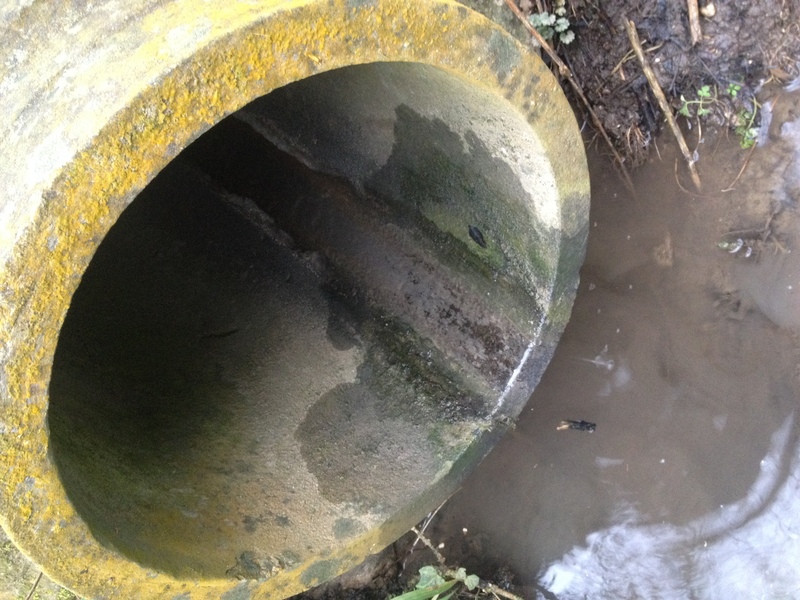 This issue is being followed up with Wessex Water’s misconnection team and The Environment Agency field monitoring team (some of which were present as pollution incidents took place) have taken a note for consideration in future sampling. 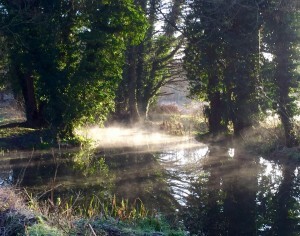 Our coppicing of the river will aid in the visibility of pollution events as the river has been opened up to passers-by. When combined with the pollution spotter guides that we have distributed amongst locals and put up on park noticeboards, we hope that this will lead to a rise in reported incidents to the Environment Agency, so that the scale of the issue can be made clearer. 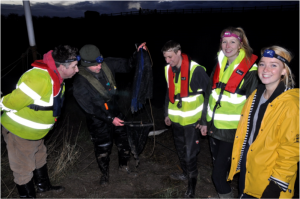 BART are extremely grateful for the support and interest we have received during this project from Calne Town Council, Castlefields Canal and River Park (CARP) Association, Calne Angling Club, Calne Wildlife and local residents. We would not have delivered such a successful project if it wasn’t for your hard work and enthusiasm. In fact, a total of 54 volunteers contributed 342 in-kind hours to this phase of the Magnificent Marden Project! 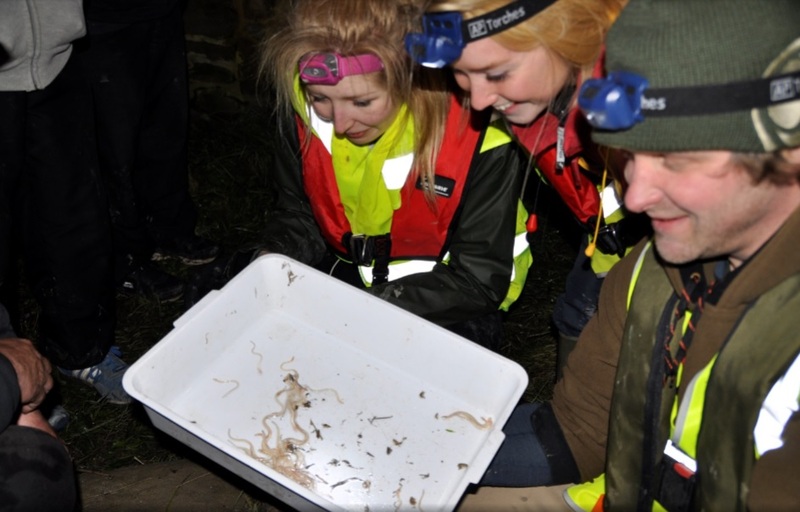 Two Riverfly sites are in the process of being set up in the project stretch, following training by BART at the end of 2015. These sites will be invaluable in assessing long term population changes in macroinvertebrate populations within the river. We hope to see improvements to population diversities in previous samples as a result of our works. BART are already looking for funding to continue works on the River Marden. BART’s aim is to deliver improvements to all 11 km of the river through coppicing, in-stream improvements, barrier removal and farm improvements. This would then allow the river to be used as a model example of what can be achieved by a river catchment based approach. BART are also looking for funding to run a river education programme with local schools and community groups. This programme includes pollution education, such as the Yellowfish project, as well as hands-on aquatic wildlife learning, such as ‘Trout in the Town’ and river-dipping sessions.